Gent is one of our favourite Belgian cities. 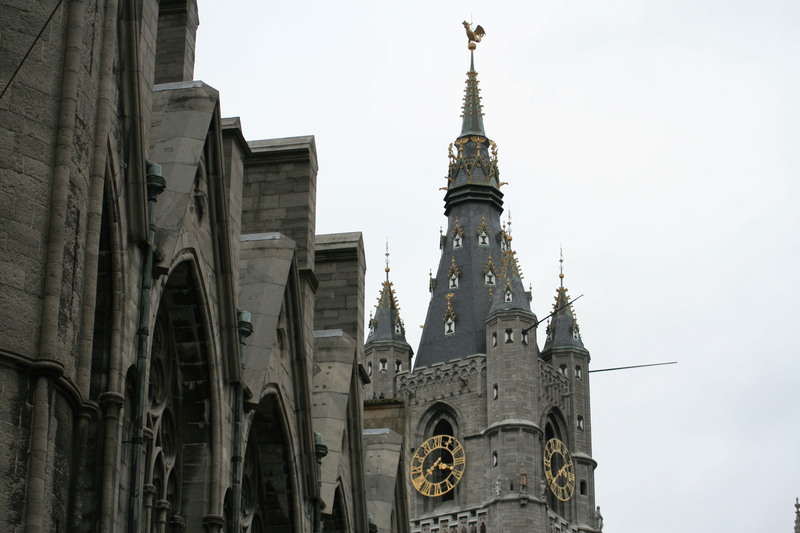 This Flemish city, 45 minutes away from Brussels is a must visit for any visitor to Belgium. Sometimes overshadowed by Bruges, also called the Venice of the North, it is one of the largest cities in Belgium but has kept its charm with an amazing medieval architecture that remains intact and is remarkably well preserved and restored. It also has a huge pedestrian area with a lot of interesting highlights such as the Saint Bavo Cathedral, the Belfry, the Gravensteen castle and the splendid architecture along the old Graslei harbour. We return time and time again and never get bored of this buzzing city full of surprises and hidden gems. Foodies are in for a treat in Gent with a splendid array of restaurants, cafes and concept stores. The city is also known as the a paradise for vegetarian restaurants. The city has more vegetarian restaurants than Paris or London and is sometimes called the vegetarian capital of Europe. If you are not into vegetarian food, don’t be discouraged. There are some amazing places to eat and you will be spoilt for choice. If you are there for just one day you might not be able to take in all the sights, but one tip we would give is to take your time to stroll, and stop to enjoy the coffee culture of this city with its many outdoor cafes, especially if it is a beautiful day. If you need to start the day with a breakfast, then our recommendation is to head to De Superette, a bakery created by Kobe Desramaults with an excellent concept which also serves breakfast and brunches. It is a perfect place to start your day in Gent, but you could also easily end it there as they serve pizza from their stone oven in the evening. From here, you can walk towards the city centre. Our tip is to head to St Michael’s Bridge where you can see what is probably one of the nicest views of Belgium. You can admire the beautiful cityscape from all directions. The first sight is the Graslei and Korenlei where people stop to have a coffee or a beer at any time of day and people watch. On a sunny day, you might be struggle to find a place in one of the cafes. You will also see the Castle of the Counts as well as the famous three-tower row which includes St Nicholas Church, the Belfry and St Bavo’s Cathedral. We never get bored of visiting the St Bavo Cathedral with a stunning painting by Rubens among others. But the work which cannot be missed is the world-famous Adoration of the Mystic Lamb painted by Hubert and Jan van Eyck around 1432. From here, head to the Graslei for a quick drink and rest before you continue your walk towards the Castle of the Counts (Gravensteen castle) and then to the Patershol quarter which is the medieval heart of the city. J.E.F. one of the city’s most well-known restaurants can be found here. If you keep walking further you will get to Sluizeken, a pretty square with an excellent cafe called Simon Says in the corner, Villa Bardon, the only Mediterranean restaurant with a Maltese twist in Belgium and Uncle Babe’s Burger Bar. All three are highly recommended. 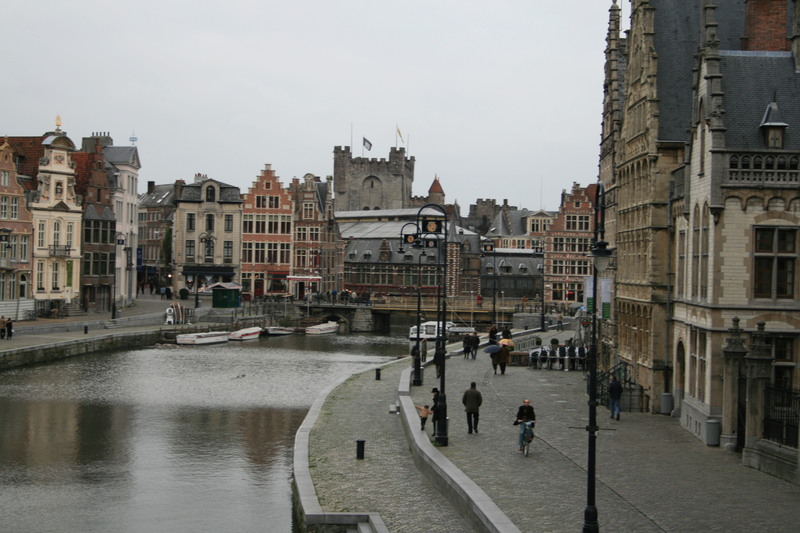 If you are into shopping, then Gent is a great city with some great boutique stores. But, there is nothing better than taking a boat trip from the Graslei to continue to absorb the beautiful sites of this city. No visit to Gent would be complete without a trip to Yuzu, a fantastic chocolatier who has a minimalist approach to chocolate using surprising and original flavours, most of which are inspired by the seasons and his love for Japanese and Middle Eastern culture. His creations are unique for this chocolate loving country. Foodies should also make sure not to miss the shop of Joost Arijs, one of the most talented pastry chefs in Belgium. You should also visit the Great Butcher’s Hall. This building dates back to the 15th century when meat halls were indoor market places. The building has a beautiful wooden truss roof and when you look up you will see Gent’s special Ganda hams hanging there. This hall houses the centre for the promotion of local East Flemish products. While here, head opposite to Tierenteyn which looks more like a pharmacy than a delicatessen. They are incredibly famous for their mustard which they have been making since 1790. We love Monschau mustard but this is really special. One other interesting shop to visit is Temmerman, an old fashioned sweetshop housed in a beautiful baroque house on the Leie river. They are famous not only for speculoos but also for their cuberdons. If you are staying in the city for dinner, you will be spoilt for choice. You can try one of the three restaurants of the Flemish foodies, composed of three childhood friends who all have restaurants in this Belgian city. They are Jason Blanckaert (J.E.F. ), Olly Ceulenaere (Restaurant Publiek) and Kobe Desramaults of In de Wulf who has opened De Vitrine apart from De Superette in Gent. We would also recommend Villa Bardon if you are craving Mediterranean food. There is nothing better than finishing off your day in Gent with a visit to Jigger’s – the Noble Drug Store. There is a reason why it is considered to be one of the most influential cocktail bars in the world. Make sure to call in advance for a booking before you go, and if you get the chance, sit at the bar and watch in awe as they prepare their amazing creations using seasonal ingredients. We guarantee it will be a day to remember.